International Women's Day is celebrated on March 8, since 1909. It is a focal point in the movement for women's rights. Today, International Women's Day is a public holiday in some countries, while it's ignored in others. At some places, women around the world gather to protest, in others it's a day that celebrates womanhood. Us, EVS volunteers in Kalamata decided to pay tribute to everything that women achieved for their rights by organizing an event at the main square. Hours of planning, googling, crafting, torturing Greek friends to translate content from English (hope they'll forgive us :) ) - and we were good to go! On Friday morning we gathered all the material and headed to the main square of Kalamata. Even though it was early in the morning, the main square was full of people and we had enough of content to get their attention. People enjoyed walking along the timeline of important events in women's rights history, taking photos in a giant flowerful frame we made by ourselves, listening to health advices we had and admiring portraits of successful Greek women casually hung up around. Some of them were interested in checking their knowledge on the topic in a quiz we made, which resulted in surprised looks when they were shown the facts. General conclusion - Locals loved it. And we loved the time we spent together in it and the impact we made! I have been in Kalamata for nearly two weeks now. For sure it has been an adventure like no other! Time has passed by so fast, it still feels like it was only yesterday that I took the bus, dragging my huge suitcase around. But here I am now having discovered a new home, new family and a new passion. Ahh, Aristomenus… It is said that there is no other place like home and I couldn’t agree more! Still, what is home? Is it the location, the house, the furniture? To me it is the people! And in a daze I found myself sharing my new home with a Nomad 5-stars chaff, Tea loving technician, Nerd fashionista, Extremely stubborn video making virtuoso, Book loving French, Funny socks lover and a Liverpool and piroshky’s fan. I will tell you that, there is no dull moment with my flatmates around! 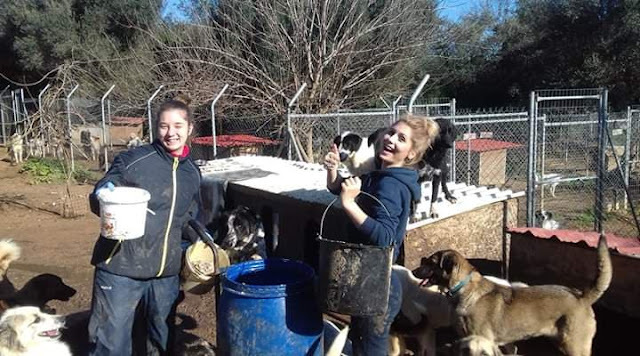 Shortly after I arrived I went to visit the local dog shelter, where I will be volunteering during my EVS program. Never, NEVER have I ever had such a warm welcome before!!! Six hundred dogs all happy to see you and eager to play as well as kind and sweet volunteers waiting on the doorstep to greet you! Now that I have worked there for a week I can tell you it is one of the more rewarding thing I have ever done in my life! I am glad I had the opportunity to become part of the DASH family! And here comes the crown jewel… Salsa, bachata and so much more you can do right here in the youth center in Kalamata! Monday and Thursday started to become two of my favorite days in the week because I have the classes to look forward to. And that is the story of how this trip uncovered the hidden Latino passion I had in me! 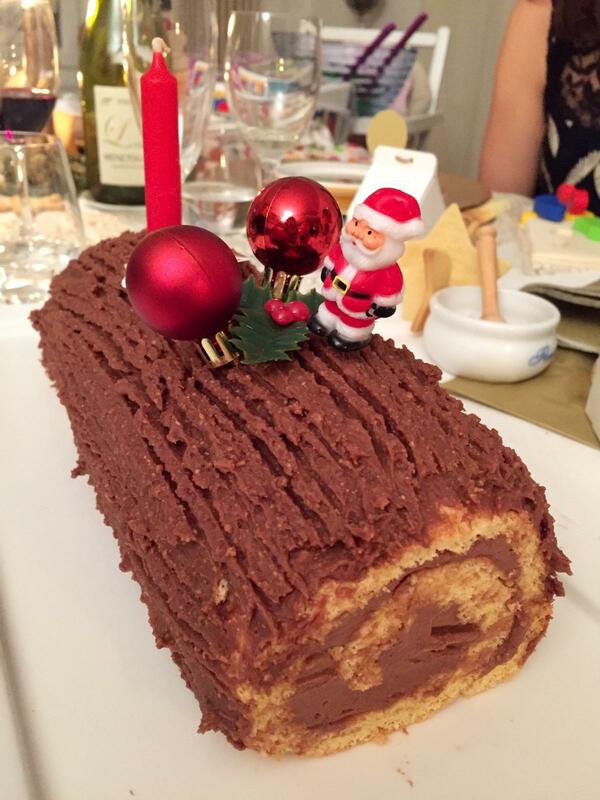 It’s a bit hard to go back to work after holidays, all of the amazing food and relaxed moments with friends and family. 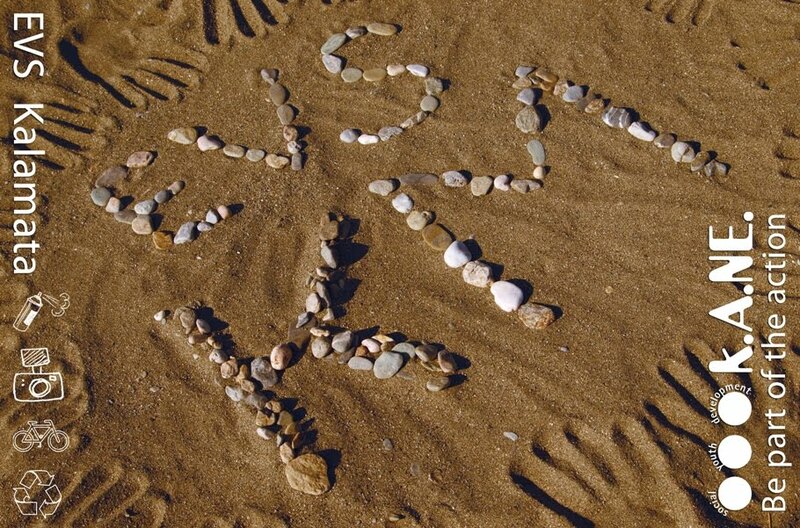 Especially if you are an EVS volunteer living far away from home. So, the holidays for us were everything but usual. We decided to throw a little celebration in the Youth Center as a reward of the successful period behind us. We had a Christmas dinner, spent some time together with nice music and good food (that we prepared by ourselves ^^), received nice presents from our Secret Santas. We also had to say some goodbyes to friends who finished their EVS projects, but with a promise to meet again soon. Then, all of us haven’t seen each other for a while. 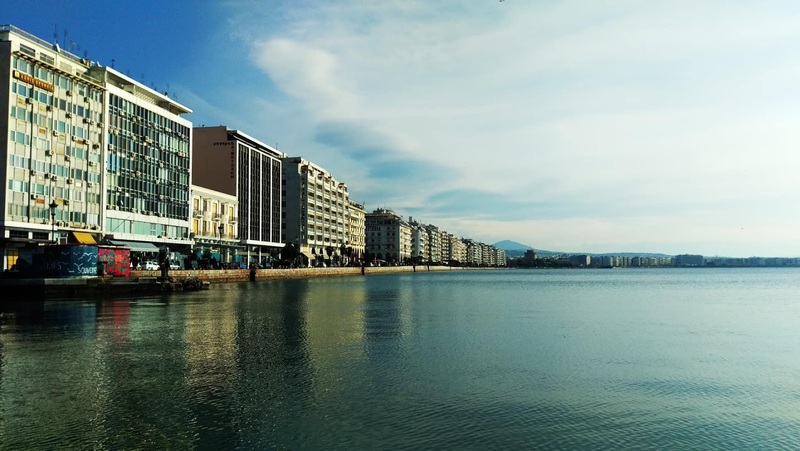 Some went back home for holidays, some were exploring northern parts of Greece, and some stayed to experience the way Kalamata people celebrate holidays. All of us were full of stories to tell when we got together in January. And of course, full of inspiration New Year resolutions. Classical ones – eating healthier, spending less money, getting more sleep, reading more books. A bit unusual ones – creating medicines by ourselves, learning how to make natural toothpaste etc, but with a common goal of making our lives more enjoyable. We have even dedicated a whole issue of the next LINK magazine to resolutions. So in case you got hooked to the resolution examples you just red, you’ll love it. 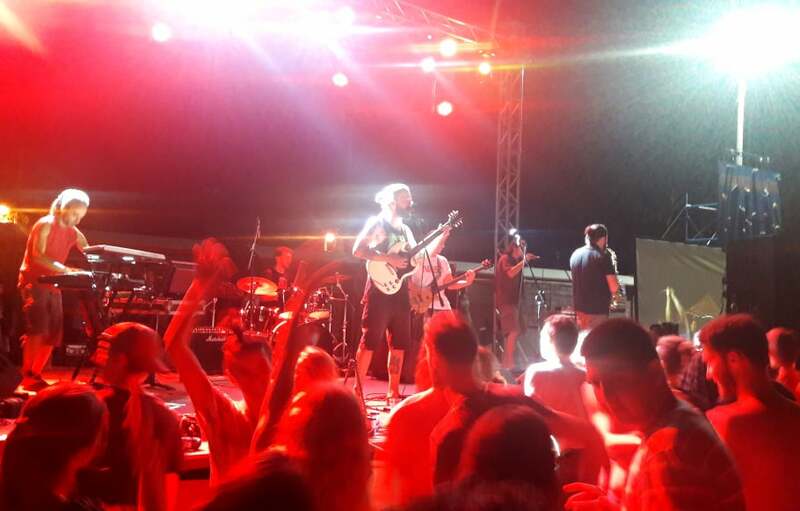 My experience at Project “Peace, love and unity”, in Kalamata, 16th of July-03rd of August 2018, K.A.N.E. Meeting new people abroad from all over Europe is always a nice experience, and if it is during summer in Greece even more. 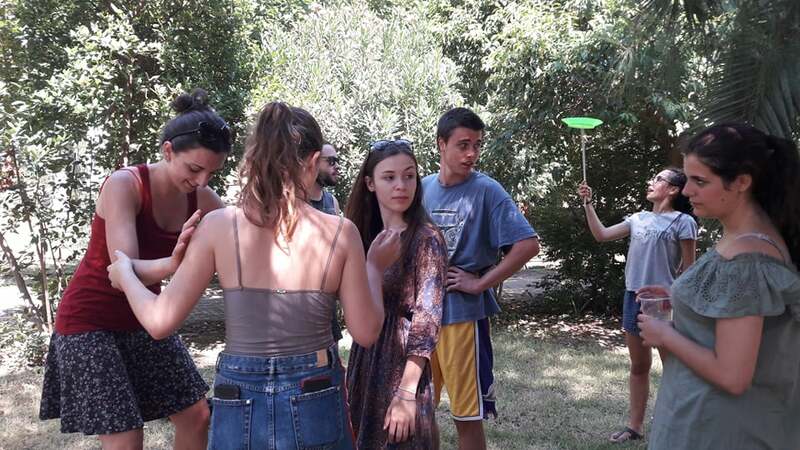 Getting to know each other while working together in a big, interesting, social project is great; and having the opportunity to observe during the D-Day that everyone else is enjoying your festival is something that simply feels perfect. At the next day, when we found out that the city council had canceled the rest of the festival, we felt it like an ice bucket falling over our heads. 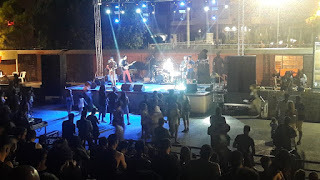 Anyway, the people from Kalamata decided to go on with the party at the park, so the festival did not end on the practice. Nothing changed with the volunteers, neither: we went on with our (renewed) tasks, and collecting good stories to tell. We lived three weeks to remember forever. It was a really good experience to participate in this project. I didn't know what to expect but on my first day, my boss taught me to expect unexpectable! I was excited and motivated and very curious about things in the project. Our role was really nice and even we had hard days I think we did it successfully. I met new people, learned about new languages and new cultures. Every day was a challenge for us and we solved many problems and tough things what were on our way. In the future, I am happy to know that these kinds of project exist and that one day I can again participate in it. Thanks to all the people from the organization and all the people I met I am glad to say that I am more than happy that I did this project! Love, peace and unity was, on some brief, great moments and days just that: peace, love and unity. As it was my first ever experience with EVS I didn't know what to expect but mostly was pleasantly surprised. Although the work was fun and not so exhausting so it sometimes seemed more like a vacation in Greece, the learning process was happening all along and I feel I came home with more knowledge: I know more about other people and more about myself. This EVS was about the street festival. Sadly and ironically, we stayed in Greece for 18 days and had 1 day of the festival. 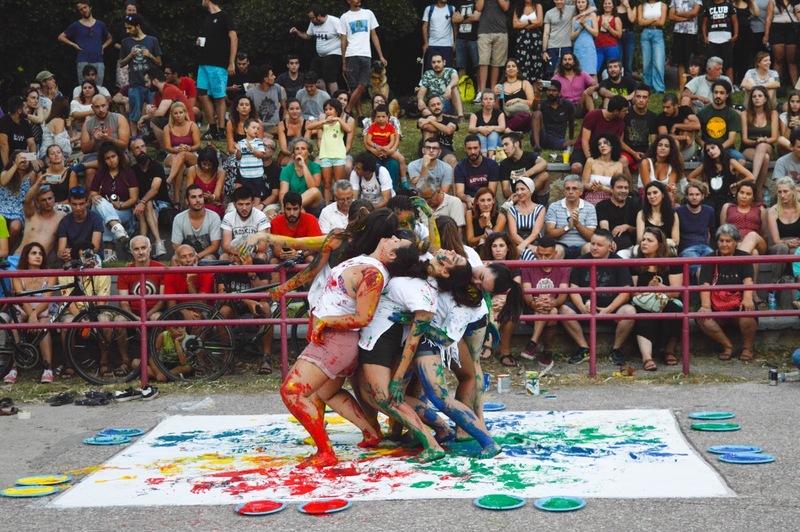 With Kalamata street festival being canceled, true love, peace, and unity happened. For start, performance in front of the municipality and then in the evening - festival. Because if people want to have fun nothing can stop them. I know very little about Greek culture, but still, being there watching people having fun and being so united about the music, dance and culture was something special for me. Although I was just sitting and looking at people dancing Greek dances to Greek music I never felt more at home in Greece than that moment. So, even though things didn't go as planned, I think peace, love, and unity were there and that is the most important part. I am thankful for this experience; thankful for people I met, things I learned and amazing experiences I had. I shall remember only the good for a long, long time and the bad is already forgotten. Thank You EVS. Thank You K.A.N.E. Thank You for understanding, Nancy. 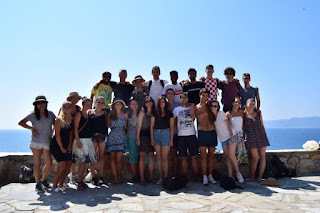 During those 18 days spent in Kalamata, I had such a great time, I have never had an experience like this. It's something that I will never forget. 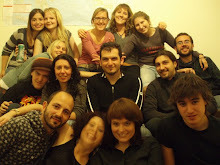 In fact, I met so many interesting and easygoing people from all over Europe and now there are all my special friends! Organizing the festival was a challenging but entertaining activity. 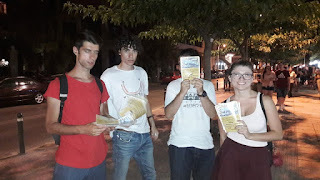 I did something I have never done, as spreading fliers in the street. This permitted me also to stay really close to local people. A great occasion to understand the Greek way of life. Moreover, spending almost 3 weeks in Greece has been amazing for the weather, the landscapes, the sea, and the food! 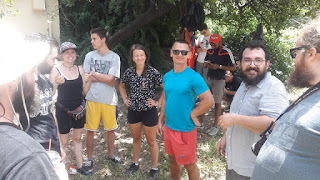 This European Voluntary Service in Kalamata in July of 2018 was a great experience. I got to meet so many people. The best thing about it is the fact that I met people from all over Europe which helped me in understanding different cultures and languages better. I made some friends who I will stay friends with for a long time from different parts of Europe. The European Youth pass, which I got before leaving Greece, is a very nice addition to my future job applications. I could get a better job with it. 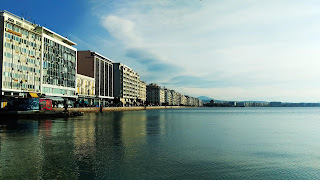 All in all, my time in Kalamata was very nice and it definitely made me think about other EVS projects in the future. 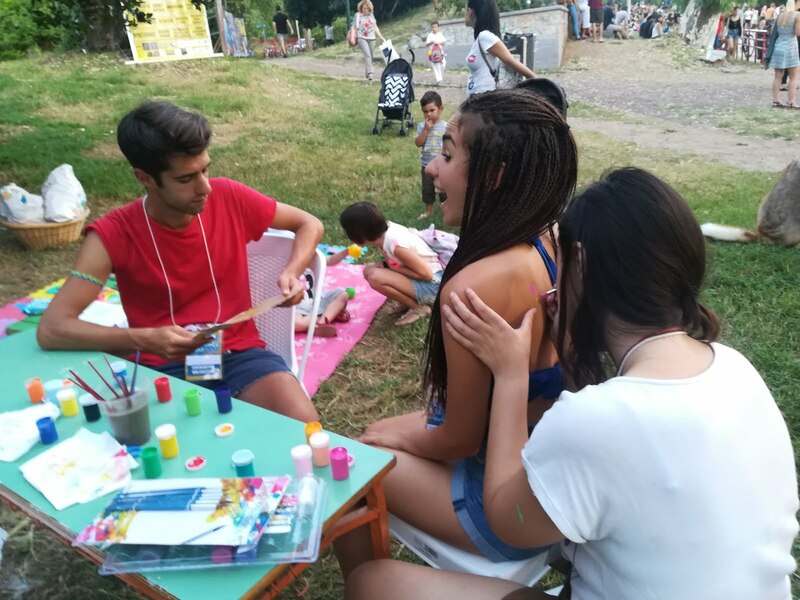 This European Voluntary Service in Kalamata in July of 2018 was a great experience. The best thing about it is the fact that I met people from all over Europe which helped me in understanding different cultures better. I made some lifetime friends from different parts of Europe. The European Youth pass, which I got before leaving Greece, is a very nice addition to my future job applications. I am very happy to have this kind of life opportunity, to see something new and to feel part of something new to me. This event made me very interested in joining other EVS events as well! This European Voluntary Service in Kalamata in July of 2018 was a great experience. The best thing about it is the fact that I met people from all over Europe which helped me in understanding different cultures better. I made some lifetime friends from different parts of Europe. The European Youth pass, which I got before leaving Greece, is a very nice addition to my future job applications. All in all, time in Kalamata was very nice and it definitely made me think about other EVS projects in the future. solve problems. The word that sums up for me this little adventure is ROLLER-COASTER (It means that you have good moments and others not so much, even so, one always repeat). Being a part of this project was an amazing experience for me and I’m grateful for it. 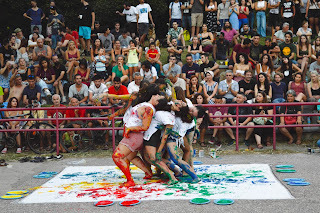 I was part of the Street art team and our task was to find out, what artistic skills we share as a group and then use these skills to create a performance for the Street art festival. Creating something out of nothing with people you barely know (in such a short period of time) has its challenges and I’m happy to say, that we were able to overcome them all as a team and have lots of fun at the same time. I am proud of the outcome of our hard work. It was a beautiful journey and I enjoyed the whole ride. The place has been very pleasant, as you get used to new stages, new cultures or simply things you had never done until that day. The companions have been very nice and although it has been a short period of time they are taken care of. There were people from different countries and also people from my city with whom I still have a relationship after the EVS. 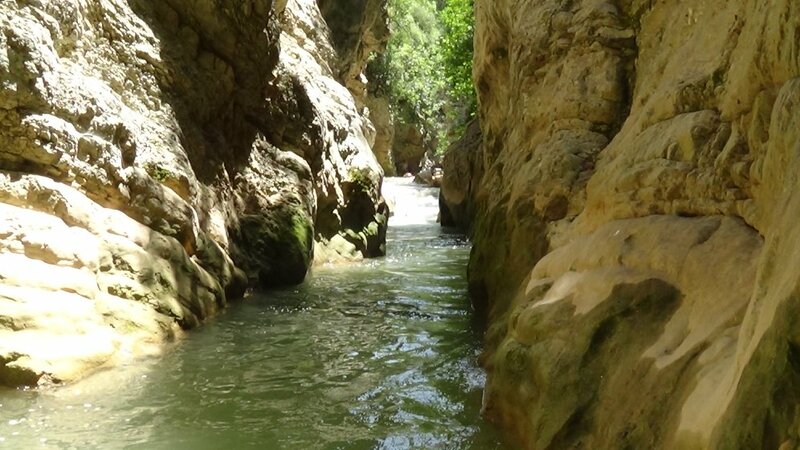 Regarding the city, Kalamata is very beautiful and is very well located to visit different places of the Peloponnese. I had chosen this EVS in search of new experiences and I found it. The people of Kalamata are very kind and friendly! The last thing to say, I think this experience not only changes you but also changes your environment and helps you to learn and have more knowledge that maybe you cannot learn it in your studies. 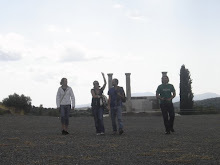 Greece, friends, art, Kalamata, rock, trains park, beaches, pitas... These are some meanings that "Peace, love and unity" volunteering has acquired for me. And, despite the fact that the festival ended up being canceled, this great experience has not disappointed me at all. The country, Greek citizens, their great culture, their glorious pitas, etc., make you want to come back. In addition, all the friends I have made, the perfect coexistence... make you forget any insignificant failure of organization and cleanliness within what we end up calling "home". Finally, last but not least is the project. How to summarize... Art is necessary to humanize society and I love people who promote it as a milestone of our culture. In conclusion, I would like to say that I am sure that, when a new opportunity like this arises to me, I will surely repeat it! Grecia, amigos, arte, Kalamata, rock, Parque de los trenes, playa, pitas… Estos son algunos de los significados que el voluntariado “Peace, Love and Unity” ha adquirido para mi. 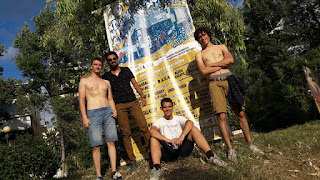 Y es que, a pesar de que el festival acabó suspendiéndose, esta gran experiencia no me ha decepcionado en absoluto. El país, los ciudadanos griegos, su gran cultura, sus gloriosas pitas, etc. hacen que quieras volver. Además, todos los amigos que he hecho, la perfecta convivencia… hacen olvidar cualquier insignificante fallo de organización y limpieza dentro de lo que acabamos llamando “nuestra casa”. Por último, y no menos importante, está el proyecto. Como resumirlo… El arte es necesario para humanizar la sociedad y premio a aquellos que lo promueven como un hito más de nuestra tan basta cultura. En fin, como conclusión que decir que estoy segura que, cuando surja una nueva oportunidad como esta, repetiré seguro! 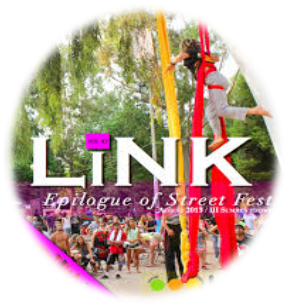 The Kalamata street art festival was my first ever EVS project. Before starting my journey to the far Kalamata I had no expectations about what was going to happen but in the end, I can say without any modesty that that was the greatest experience one can ever have. Not only I met many new friends from all over the world ( Spain, Italy, Croatia, Chez Republic, USA, Canada, England, Portugal, France, Poland and Greece of course) and now I have fantastic international relations but also I gained a lot of new experiences and skills which helped me with my professional and individual development. These three weeks we worked, traveled, swim, had parties, went to the beach, sunbathed but the most important we had a lot of fun. 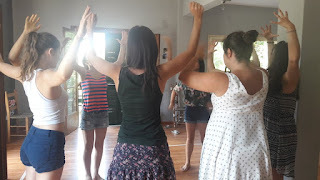 We learned to cooperate, to work in a group, but also to live together, to cook and clean, to respect each other and to resolve quickly conflicts by making compromises and defending our point of view. I will always keep the fantastic memories we created and I will definitely see my friends again and visit Kalamata. I liked this project so much. Nancy has the role of teaching us and inspiring us all the time. She put in long extra hours to train us to give our best, so thank a Nancy for the investment of time. I think our performance was something more than just theatro. During this project I met a lot of new people, I will remember this EVS, I had improved my English skills and acting. I had learned how to solve problems,..that there are always some people that can help me. Greece is very nice country and it was a pleasure for me to be there. Hello, I am Dimitar Raichev from Bulgaria, born on the 8th of March in 1998 (Sunday). I am studying Software Engineering in Sofia. I like maths (especially the number 7), programming, physics, playing cards, and jazz music. That's all I'll say for now. We had plenty of time to explore the city and other places, like Monemvasia, which was so picturesque. Hi everyone! My name is Ramì and I was a volunteer in the organization of the festival of Kalamata this summer. 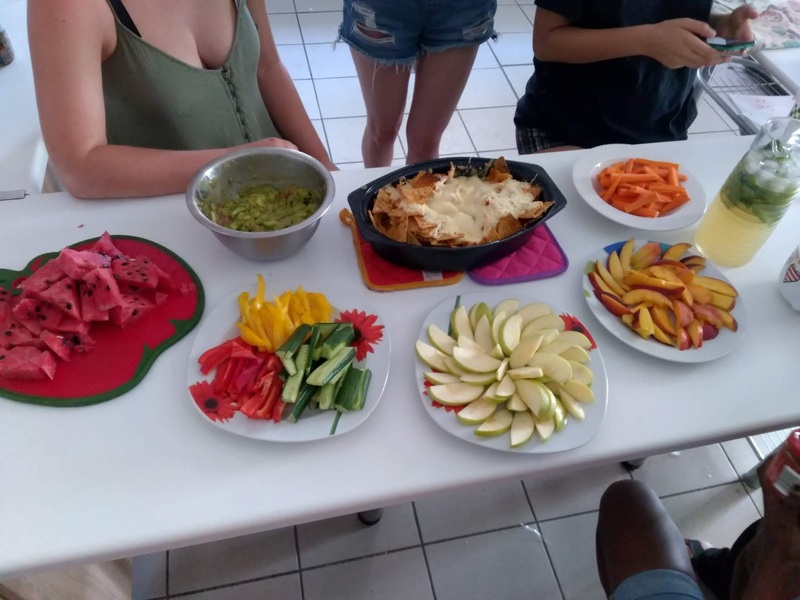 At first, I was quite skeptical about this EVS, but I found out that it was a great opportunity for me to improve my relational skills interacting with people from other countries and making new friends. Moreover, I learned some new words in different languages and used construction tools to build the kiosk and stands. Last but not least I had a lot of fun! Exploring new places, eating typical food and discussing with locals was amazing! I just finished my class at the university and I received a call. I was told that I was accepted to a project in Greece for which I applied a few months ago. I was asked if I wanted to join the project. I just said YES without thinking twice. Now, when I think about it I think it was the best decision I could have ever made. Joining this EVS project gave me a lifetime memory and gave me an opportunity to meet many interesting people from different countries. I would thank ERASMUS+ for funding all these projects, and the organizations that work so hard to arrange and organize all these activities. Particularly I am grateful to MUNDUS association to select me for this project and to K.A.N.E for arranging everything for the participants of the project. This picture is my testimony. This picture represents everything that we did in the project. It is colorful and beautiful as each day in Greece. We had a lot of fun during the official dance in front of the audience as we did every day in the project. Also, this dance is emotional and we made it with hard team work. The experience I had in Kalamata, Greece, is something I will never forget. To be completely honest, I was a bit afraid before departure, I couldn't imagine what kind of experience was waiting for me there in Hellas. Well, the 19 days I spent there were just perfect. I have to be sincere, I had to work a lot, the atmospheric conditions weren't the finest possible too. I met lots of different types of people, Croatians, Greeks, Spanish, and Bulgarians. It was very nice to compare our opinions about everything and to notice all the disagreeing but also all the agreeing points we had in common. I think this experience helped me out with my personal growth and improved my ability to "do it on my own". Definitely, recommend this experience to everybody! The Kalamata Street Festival project it was my first volunteering in my life. When I saw the offer on Internet, in the beginning, I wasn't so convinced but my girlfriend pushes me a bit to try to enjoy and discover another kind of activities and adventure in a foreign country. I was also thinking it would be nice to take this volunteering because I can get "paid holidays". Well, when we start studying and investigating what it's needed to be done in the festival, we realized there will be no holidays. The festival had so many things to do with not that much material, tools or organization. There is an unfair distribution of tasks to do at the festival. Personally, I think next years, you need to involve all the volunteers, doesn't matter to which team they applied before go, to be helpful, solitary and enthusiastic in the whole objective, not just on their tasks. I'm sure you put all your effort and time on this kind of projects but, without organization, people is not working happily so the job is going to take more time and maybe is going to be also worst than it can actually be. 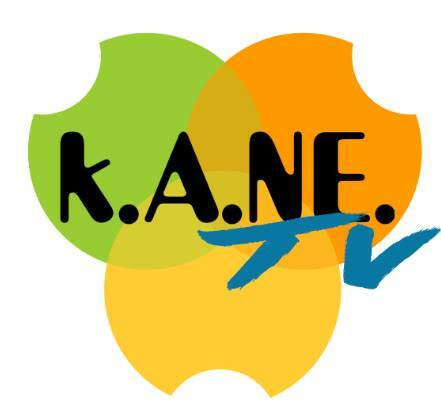 Apart from the organization and tasks distribution, I need to say that all of you from KANE association are amazing people, who understand that people can help, work and build something just to help another people or create something that makes people happier, and this is really helpful on this time that we are living. Thank you so much or everything KANE. It was an early morning of the 5th of August and I was freezing at the top of Mount Olympus. Although everything around me was covered with a thick mist and my Greek adventure was almost over, I was excited. 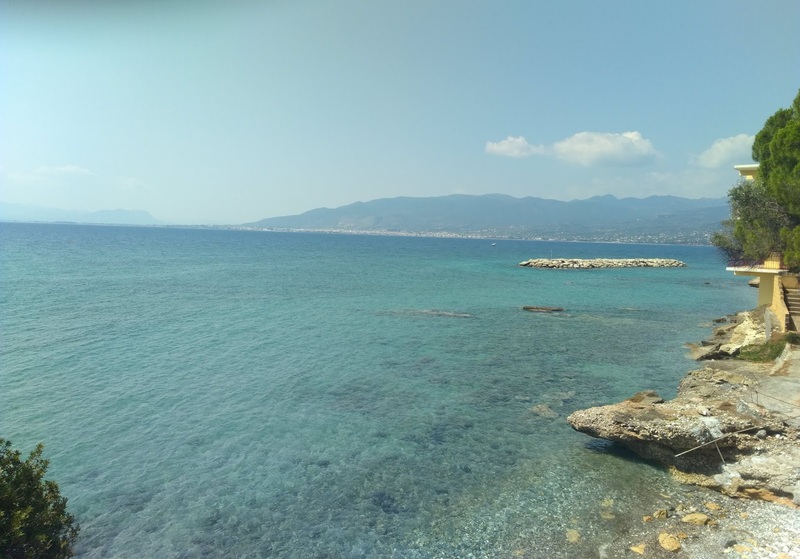 I had spent more than two weeks on the very south of Peloponesos in the town called Kalamata, met plenty of interesting people and got some cool things done. 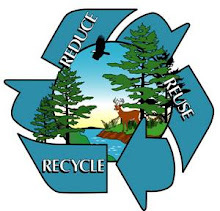 Finally, we screwed the last wooden plank to a bar, wrote the last letter of 'Σουβλάκι' on the menu above the stand and put the last plastic bag into the construction of a recycling bin. Okay, that circular design was not the best, but it's too late to change anything and it more or less works. We learn from our mistakes, right? And the festival can start. We are exhausted, dirty, but proud of our work. The last couple of days we spend here, in the park in the middle of Kalamata, building and painting all, what was needed to hold the festival. We were literally sweating our blood out, exposed to the strong Mediterranean sun. But the result was more than worth it. Nothing is perfect though, not even in Greece. And when some complications appeared and the festival was canceled due to some political disapproval, which made the first evening the last one too, our grief was huge. We build things, which were supposed to serve people for a couple of evening, the promo group spend nights distributing flyers and talking to people, the artists trained for more than a week to perform their piece… And all that for one single evening. Some were disappointed, some were mad, but I think that all of us were actually surprised to see, what happened then. While disassembling the structures, more and more people were coming to the park although there was no official festival anymore. People were playing their instruments, discussing the current situation or just having fun. The outcome of this whole event had was actually huge. 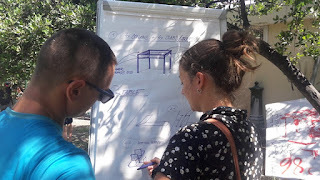 I am sure that everybody from our construction group learned a lot. Some of us didn't work with wood before, some never tried to design a structural detail, some never worked with people from foreign countries and with different backgrounds. And if they did, they still developed some of their skills. In the beginning, we discussed together various design possibilities and tried to choose the best option. Then we had to calculate and estimate the amount of material we needed. During the actual building process, we developed our construction skills including the use of various tools and sometimes we even found out better design solutions especially in detail. For me personally, the hardest was to work with the group, solving conflicts within it and distributing tasks. I was forced by the non-effective way of working to take the initiative a couple of times. And this always had been crucial for me. I've learned a lot about organizing and leading people in order to gain the best result. I realized which skills are my strengths and weaknesses so I can improve them. I woke up on a beach, listening to the sound of waves and realizing that this is probably the last trip we made here. There was still a whole day we were about to spend admiring beauties of Peloponnese, but I could easily stay more. Besides actual volunteering, we had a lot of time to travel around Kalamata. 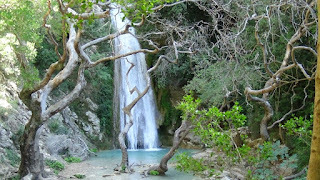 I saw beautiful waterfalls, explored many ancient sites and swam on several beaches. My friends, who were strangers to me just two weeks ago, were slowly waking up next to me and the sun was becoming quite strong. 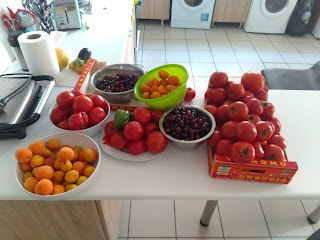 It was the time to go for a morning swim and eat the rest of the feta cheese and tomatoes we bought yesterday at the market. I felt lucky to be there and realized that volunteering is something, what fills me with joy and happiness. Our 3 weeks in Kalamata were perfect. I am very glad I could be part of this EVS. I and Sara definitely decided to participate on the project just 2 days before it started, but it was absolutely our best decision made during this holiday. Firstly it was hard for me to adapt to weather and way of living in Greece. Now I think people are happier there than they are in my country. In Slovakia is everything exactly scheduled and people do not have enough time for enjoying their lives. We are in hurry every day. It was a nice experience for me to live 3 weeks like Greeks. I am also glad I could see so many nice places with rich history, got to know Greece and some people living there, tasted the traditional Greek food, learned something about Greek traditions and habits and better understand their mentality. I also learnt to be more responsible and think about the way how to spend my money carefully. I did not have any conflicts with other participants, I like and miss them all. My mentor Mina was perfect, as well. She was very kind and clever, she speaks calmly and she always tried to understand us. She did not force us to work very hard, reversely our work was funny and pleasurable. The last but not least I want to thank Jelena for her care and willingness make our 3 weeks in Greece pleasant. It is a big pity festival was canceled. Hello guys! My name is Veronica, but friends call me Veris. I was a volunteer at Kalamata street festival this summer and it was a fabulous experience that I recommend to everyone. The volunteers were divided into three groups basing on their motivation letter: promo, construction and street art. As I was good at dancing salsa and bachata and drawing graffiti, I was in the street art group. Altogether, we created a choreography and performed during the festival! It was amazing and people loved it! It was also very nice to visit parts of Greece I've never been before and to taste a different kind of pitas. And of course, EVS is also a great opportunity to make friends all over the world. Hope to have inspired you! I think spending twenty days in kalamata was one of the most significant experiences of my life. I really enjoyed every moment there and I grow up as a person in lots of aspects. First of all, I measured myself by relating with strangers. We created a wonderful group and I fell in love with lots of them as soon as I saw them. I’m serious, I made unimaginable friendships and I worked really well with them. In fact (and this is the other aspect of my growth) I was in the street art group and I met nine fantastic girls with whom was great to work. We created a performance all together sharing our passions and skills, we overcame our personal limits, every type of difficulties and we solved lots of discussions. Our performance was more better then I could imagine and I think it enriched me in art. The last aspect was the improvement of my responsibility and autonomy. In my opinion, that is normal when you have to think about things like your own money, cooking, working and other things like these. I sincerely recommend this project, because it’s something I’ll remember for all my life. 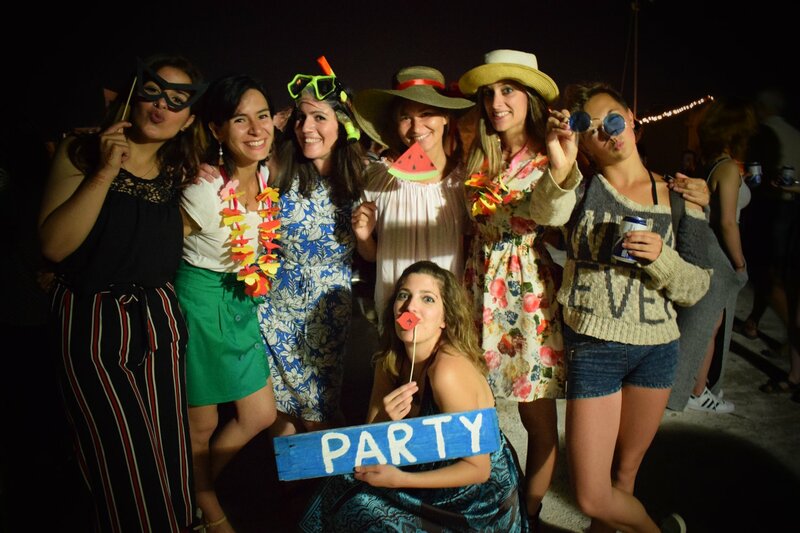 The thing I preferred was to meet people from other countries, with other cultures, other life stories, and be able to establish an unforgettable friendship with them. I have grown up surrounded by women. They taught me the more important lessons of my life. And in each of them, they are all of them. In each of them are the prayers of my grandma in my childhood nights. In each of them are the tears of impotence and rage of the adolescence, when you start to learn the hard way how is life for us, everything that implies to “be a girl”. In each of them is this coffee between tears and laughs with some friends trying to make you forget some broken heart. In each of them is the fortress of a mother for whom is enough to know that you are well to feel a bit of order in the middle of the chaos. Because this is what was about there. It was about sorority. It was about creating a new language together (boxes everywhere) because the normal one it was insufficient for us. It was about the spontaneous hugs arriving home. About the “how beautiful you are today” when you are in a morning hurry around the house because you are late in the office. It was about “freeganism”, about sharing food like solution for all our problems and about gathering around the kitchen table to have breakfast after the difficult nights. It was about to feel happy one for the others, without space for envy or jealousy. It was about singing at the top of your lungs in the car leaving the gas stations and to plan trips even when not even the half of them come to a result. It was about to improvise costumes together at the last minute. It is about Basiliki, because you can dance with a smile even when the lyrics are not especially cheerful... because we are dancing together. The city center is living more during the mornings, there is of course people during the evening but less than in the beach side. During the afternoon both are empty due to the heat, but from 20:30 life is coming back to Kalamata. The beaches, however are always attracting people from the morning to the night (the average age is changing, more older the morning, younger afternoon and evenings). Summer means -for half of the volunteers in Kalamata right now - that the end is coming soon. So we all want to enjoy as much as possible our time here. All reasons are good to gather: goodbye parties, graduation, showing the best place in town to the new ones. The world cup was also a good reason to gather when team of volunteer's country were playing. Everybody is bringing something and we are sharing our food, drinks, good mood,... The braver are going out for all night long after! We also go to swimm all together, at the end of some afternoons, after the nap time -mandatory regarding the heat-. It could be at Kalamata's beaches or around (taking a bus to explore) or also to the Polylimnio wonderful waterfalls. Some of us are also taking part to excursion with the hiking club. The 8th of June we went for 4:30 of walking/swimming into the Neda river and its waterfall. It was a magic time of sharing in the middle of the nature. As you could witness, life in Kalamata during the summer is amazing (and warm)!